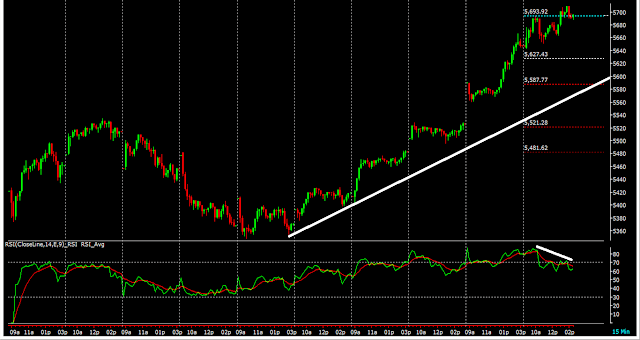 Intraday Chart: Nifty holding strong on the positive trendline. No big movements on the intraday chart in todays session. 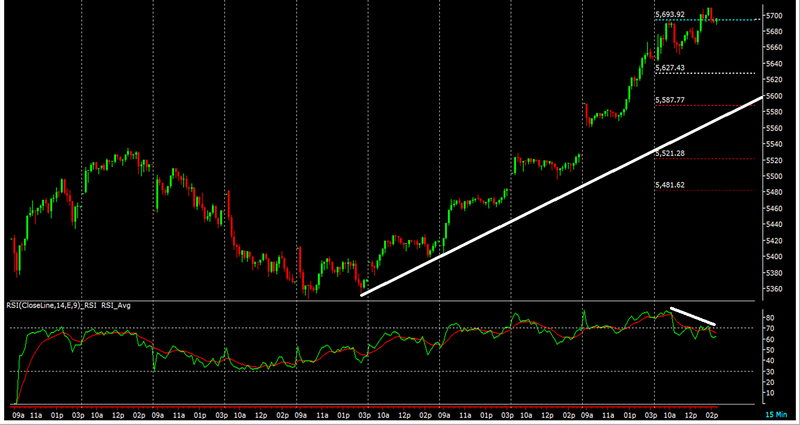 Positional Traders: We are holding long on Nifty as our closing stratergy. On the intraday basis we booked profits on Nifty short at 5660. We might get an opportunity to average long position on Nifty in tomorrow's session.